Beto O'Rourke attends a criminal justice rally at the Texas Capitol in August. O’Rourke entered the national spotlight after running a closely watched U.S. Senate race against incumbent Ted Cruz last year. He lost the race by a thin margin – 2.6 percentage points. His enthusiastic campaign caught the attention of voters like Sandy Gunter, who traveled from Peoria, Ill., to see the candidate at one of his stops in North Liberty, Iowa. Despite the national attention he received for his Senate race, though, many voters in Iowa said they didn't know enough to form an opinion of him. Welsh said she and her husband were curious about O'Rourke, so they decided to stop to see him as he ran a 5K early Saturday morning. Like many other people in Iowa, Gunter said she’s interested in O’Rourke, but is looking at other candidates, too. Lisa Hurley, who drove down with Gunter from Peoria, said “it’s too early to tell” whether she'll vote for O’Rourke. After all, the Iowa caucus is about a year away, and so far, more than a dozen Democrats have announced they're seeking the presidential nomination. “There’s too many in the field, but he’s definitely got my eye,” she said. O’Rourke is now several weeks – months, in some cases – behind other candidates who announced their campaigns earlier in the year. Many had already made several trips to Iowa before O’Rourke even announced. O’Rourke drew some crowds in Iowa, but he also had some stumbles. During early stops in the state, O’Rourke routinely joked that his wife has been raising their three children "sometimes with my help." After some criticism, O’Rourke said in a recording of the podcast Political Party LIVE! in Cedar Rapids that he was wrong for making the joke and vowed to be more thoughtful going forward. During an event in Dubuque – the last stop in his initial three-day swing through the state – O’Rourke acknowledged he was learning along the way. 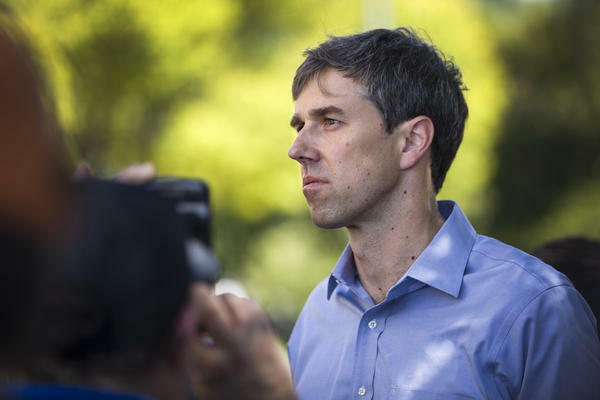 When asked, many voters said they weren’t concerned that O’Rourke is relatively inexperienced compared to other high-profile candidates like Bernie Sanders, Kamala Harris and Elizabeth Warren, who are all current senators. “I don’t know that there’s really any way to prepare for that job,” said Joanie McDonough, who lives in Dubuque. Much like other Iowans, McDonough said she is looking at a couple candidates. She said her main priority is backing a candidate who can unite the country. John Gillespie, who lives in Iowa City, stopped by to see what O’Rourke was like during his morning run earlier in the day. He said he thinks O’Rourke might have the ability to rise above some of the dirtier politics and that O’Rourke has a rare ability to draw people in and connect with them. Before hopping into a car on his way to Wisconsin for another campaign event, O’Rourke said gaining the votes of Iowans will take time. He said he’s heard from voters who say they haven’t made up their minds yet and expect to see him back in Iowa. Can Beto O'Rourke Succeed With His Campaign To 'Unite A Very Divided Country'? 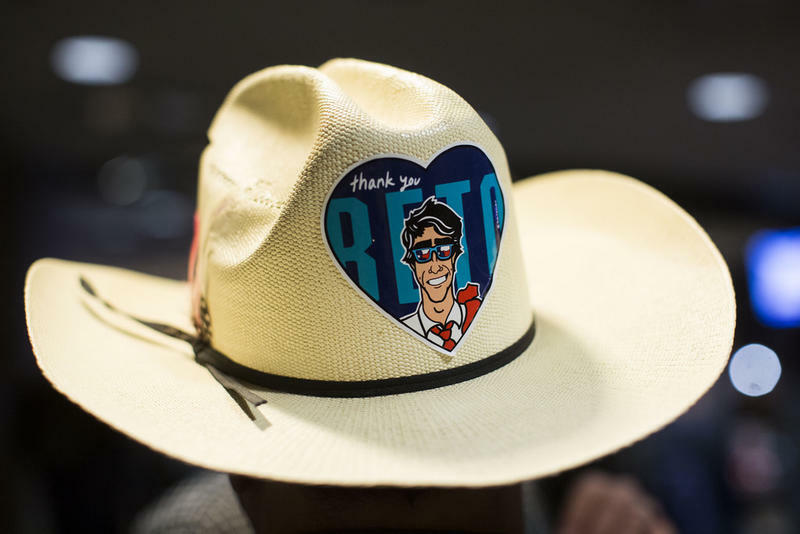 At 4:30 a.m. El Paso time Thursday, Beto O'Rourke confirmed, in a video with his wife at his side, that he's tossing his hat into the ring, so to speak, and running for president. O'Rourke is one of 15 Democrats who've announced their candidacy so far. Richard Pineda is an associate professor in the Department of Communication and director of the Sam Donaldson Center for Communication Studies at the University of Texas at El Paso. Pineda says though O'Rourke will be up against another Texan in the primaries, Julián Castro, O'Rourke is "head and shoulders above" him because of the support he generated during his 2018 Senate race. Democratic National Committee officials announced Monday that the party's 2020 convention would take place in Milwaukee. With former El Paso Congressman Beto O’Rourke’s announcement today, two Texas Democrats are now seeking the presidential nomination in 2020.